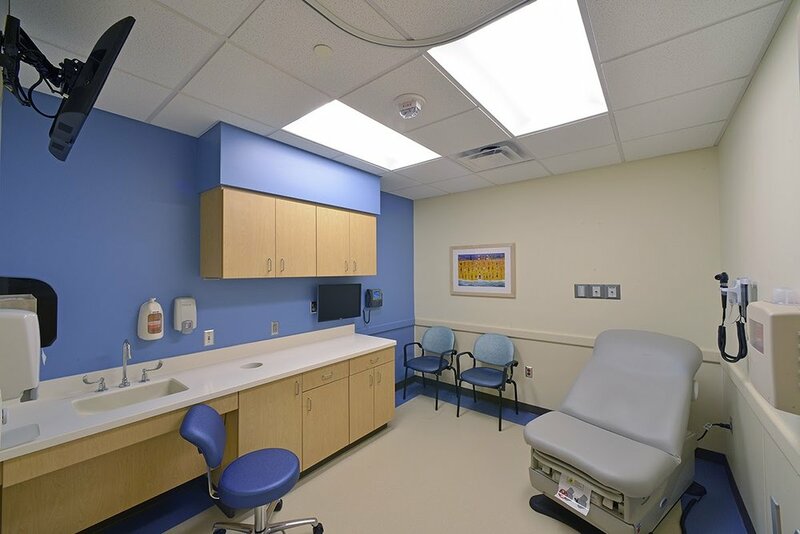 Children's Medical Center of Dallas selected the th+a team to renovate an existing administrative space into two primary care clinics to establish a medical home-style environment. In the fall of 2014, Children's opened the hybrid clinic on its main campus to serve as an integrated medical home to two distinctly different populations: patients with complex, chronic and/or multiple diagnoses alongside generally healthy patients with basic primary care medical needs. The MyChildren's clinic's extended hours will ease the increasing demand for the hospital's emergency department, delaying the inevitable expansion of emergency-related facilities. This blended clinic provides a new model tailored to serve rapidly changing needs in the community spurred by urban population growth, demographic shifts, and the evolution of care models resulting from the current wave of healthcare reform. Planning was initiated in 2013 to create this new clinic platform with a focus on providing patient-centered care in a less intense environment for the diverse populations. A key planning and design challenge of the renovation was to mitigate/eliminate impact of construction on the adjacent sensitive operations an ambulatory surgical suite located immediately below and an executive conference room on the floor above. The team successfully controlled disruptions primarily through planning that allowed sequencing of construction and building systems installations to minimize inevitable negative impacts. The new concept medical home model involved a complete demolition and finish-out of approximately 10,200 SF of office space, designed to include 18 exam room's six devoted to the complex chronic care clinic and 12 to the MyChildren's general pediatric services. The clinic will treat young patients will multiple specialty diagnoses. Integrating and sharing the support spaces will promote flexible use of the MyChildren's clinic for the complex chronic care space during busy times.